Former Minnesota Supreme Court justice and NFL Hall-of-Famer Alan Page is set to receive the nation's highest civilian honor. Page is one of seven individuals who will receive the Presidential Medal of Freedom next week from President Trump. The White House made the announcement Saturday. Page was a star defensive tackle with the Minnesota Vikings in the 1970s. He later served for more than two decades on the state Supreme Court, and his Page Education Foundation has awarded grants to thousands of students. Also among next week's honorees, Trump will posthumously award the medal to Elvis Presley, Babe Ruth and Supreme Court Justice Antonin Scalia. The other recipients will be Miriam Adelson, a doctor and wife of casino magnate Sheldon Adelson, a Republican donor; Utah Sen. Orrin Hatch, who is retiring after more than 41 years in the U.S. Senate; and former Dallas Cowboys quarterback Roger Staubach. The Presidential Medal of Freedom is awarded to "individuals who have made especially meritorious contributions to the security or national interests of the United States, to world peace, or to cultural or other significant public or private endeavors," the White House said in a news release. Miriam Adelson is a committed doctor, philanthropist, and humanitarian. She has practiced internal and emergency medicine, studied and specialized in the disease of narcotic addiction, and founded two research centers committed to fighting substance abuse. With her husband, Sheldon, she also established the Adelson Medical Research Foundation, which supports research to prevent, reduce, or eliminate disabling and life-threatening illness. As a committed member of the American Jewish community, she has supported Jewish schools, Holocaust memorial organizations, Friends of the Israel Defense Forces, and Birthright Israel, among other causes. Senator Orrin Hatch is one of the longest serving Senators in American history, having represented Utah for more than 41 years. Currently the Senate's President pro tempore and Chairman of the Finance Committee, Senator Hatch has sponsored more bills that have become law than any other living Member of Congress. He has led the way in confirming qualified judges throughout the Federal judiciary in order to protect our constitutional order, and has championed religious liberty, fought against communism, and stood on the side of freedom around the world. 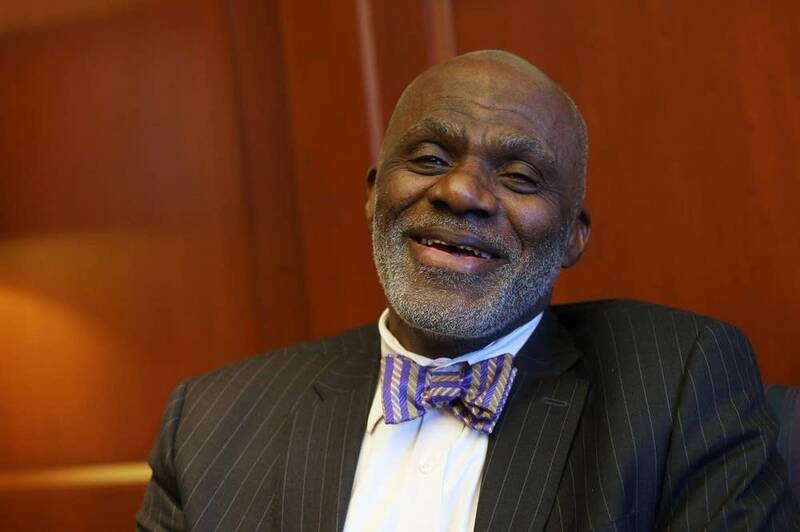 Justice Alan Page is an accomplished jurist, athlete, and philanthropist. After a successful college football career at the University of Notre Dame, he played 15 years in the National Football League with the Minnesota Vikings and Chicago Bears. He started in four Super Bowls, was named the NFL's Most Valuable Player in 1971, and was inducted into the Pro Football Hall of Fame in 1988. While playing for the Vikings, he obtained his law degree and practiced law during the off-season. After retiring from the NFL in 1981, Justice Page practiced law full-time before winning a seat on the Minnesota Supreme Court in 1992. He served for more than 20 years. Since 1988, his Page Education Foundation has provided scholarships to nearly 7,000 students. Elvis Presley defined American culture to billions of adoring fans around the world. Elvis fused gospel, country, and rhythm and blues to create a sound all his own, selling more than a billion records. Elvis also served nearly 2 years in the United States Army, humbly accepting the call to serve despite his fame. He later starred in 31 films, drew record-breaking audiences to his shows, sent television ratings soaring, and earned 14 GRAMMY Award nominations. He ultimately won 3 GRAMMY Awards for his gospel music. Elvis Presley remains an enduring American icon 4 decades after his death. George Herman "Babe" Ruth, Jr. played for four baseball teams between 1914 and 1935. He set records that stood for decades, including 714 home runs, 2,873 hits, 2,174 runs, and 2,062 walks — and he remains unmatched with a .690 slugging percentage. Over 15 legendary seasons, Babe Ruth led the Yankees to 7 American League championships and 4 World Series championships. His legacy has never been eclipsed, and he remains the personification of "America's Pastime." Off the baseball field, he created The Babe Ruth Foundation and tirelessly raised funds for the war effort during the Second World War. Antonin Scalia was one of the greatest Supreme Court justices in American history. Confirmed unanimously in 1986, Justice Scalia authored nearly 900 Supreme Court opinions. He was a champion of the Constitution, insisting that the role of Federal judges is to uphold the original meaning of the Constitution — never to impose their own beliefs on the country. Justice Scalia's legal philosophy is rooted in America's founding principles, legal heritage, and constitutional obligations. He never backed down from the bedrock proposition that the Constitution "means and will always mean what it meant when it was adopted." Hall-of-Fame quarterback Roger Staubach played 11 seasons in the National Football League, winning two Super Bowls with the Dallas Cowboys, and making the Pro Bowl six times. He first made his mark on football at the United States Naval Academy, where he set 28 records and won the Heisman Trophy in 1963. Soon after graduating, Mr. Staubach volunteered to fight in the Vietnam War. Following his football career, he was a successful businessman and a champion for many charitable causes, including the United Way of America, the Children's Scholarship Fund, and Allies in Service, an organization devoted to supporting service members, veterans, and their spouses.